(VOVWORLD) - The state funeral for President Tran Dai Quang began at 7am Wednesday with a tribute-paying ceremony at the national funeral house in Hanoi. 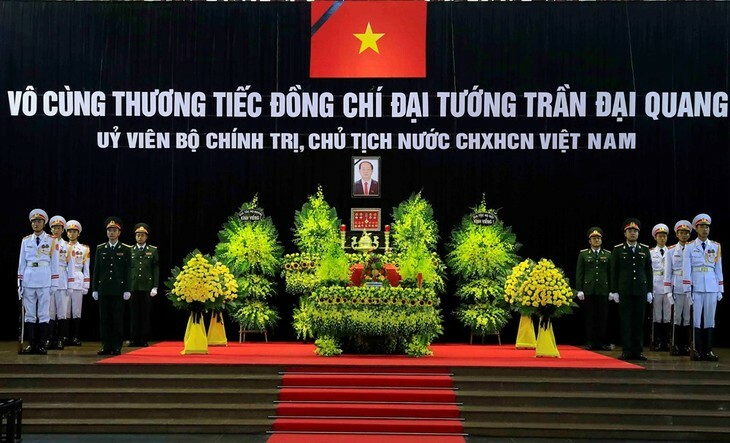 Among the first mourners were Party General Secretary Nguyen Phu Trong, Prime Minister Nguyen Xuan Phuc, National Assembly Chairwoman Nguyen Thi Kim Ngan, and Acting President Dang Thi Ngoc Thinh. Writing in the funeral guest book, Party leader Nguyen Phu Trong noted that President Tran Dai Quang made great contributions to the glorious revolutionary cause of the Vietnamese Party, State and people, especially the people’s police force, as well as to national construction and defense. Prime Minister Nguyen Xuan Phuc wrote that in more than 40 years of his career, President Quang always did his at most to fulfil all the missions assigned by the Party, State, and people. Foreign leaders and officials paying homage to President Tran Dai Quang included Lao Vice President Phankham Viphavanh, Cambodian Prime Minister Hunsen, Republic of Korea Prime Minister Lee Nak Yon, Singaporean Deputy Prime Minister Teo Chee Hean, and Secretary of the Central Commission for Discipline Inspection of the Communist Party of China Zhao Leji, and the Indonesian President’s special envoy. Also attending the funeral were Vice Chairwoman of the Russian State Duma Olga Nikolaevna Yepifanova, Secretary General of the World Federation of Trade Unions George Mavrikos, Chairman of the Council of the Republic of the National Assembly of the Republic of Belarus Mikhail Myasnikovich, Venezuelan Ambassador and Dean of the Diplomatic Corps accredited to Vietnam Jorge Rondon Uzcategui, and representatives of Japan, Thailand, Cuba, and the Vatican. 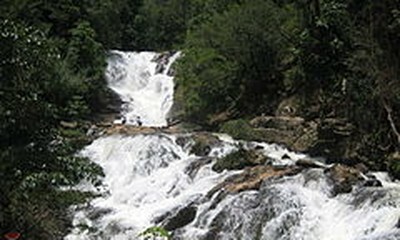 Tribute-paying ceremonies also take place in HCM city, in President Quang’s native district of Kim Son in the northern province of Ninh Binh, and at Vietnamese embassies. From Wednesday to midnight Thursday, the national flag will fly at half mast at all government buildings and Vietnamese representative offices abroad. All public entertainment and sporting events will be suspended across the country. President Tran Dai Quang was born on October 12, 1956 and passed away on September 21, 2018 due to a serious illness. He was elected President in April 2016.